The Administrative Code Division has designed the Style Manual to be used in conjunction with 1 Ill. Adm. Code 100 (Rulemaking) to assist agencies in the codification, filing, and publication of rules. The manual is not a rule but rather a document illustrating the requirements outlined in 1 Ill. Adm. Code 100. Throughout the Style Manual, references to 1 Ill. Adm. Code 100 appear so that those involved in the rulemaking process may cross-reference the two documents when preparing rules for filing and publication. 1. 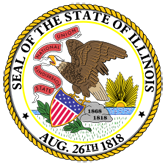 Style Manual: Illinois Administrative Code and Illinois Register (20060816220035_admin_code_style_manual.pdf).